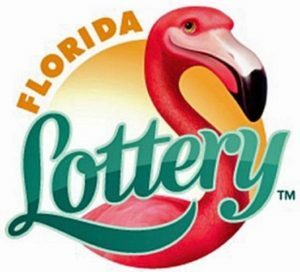 The Florida Lottery announces that Maria Parada, 59, of Key Largo, claimed the $3 million FLORIDA LOTTO® jackpot from the drawing held on March 6, 2019, at Florida Lottery Headquarters in Tallahassee. Parada chose to receive her winnings as a one-time, lump-sum payment of $2,022,343.00. The jackpot-winning FLORIDA LOTTO ticket was purchased from Winn-Dixie, located at 105300 Overseas Highway in Key Largo. The retailer will receive a bonus commission of $20,000 for selling the jackpot-winning ticket. The next FLORIDA LOTTO drawing will be held Wednesday, April 17, 2019, at 11:15 p.m. ET, with a $6 million jackpot. FLORIDA LOTTO drawings are broadcast on 17 carrier stations throughout the state. Drawings are also available for viewing on the Florida Lottery website and on the Lottery’s YouTube channel. Winning numbers are available on the Lottery website, at retailers statewide and by phone at (850) 921-PLAY. The Florida Lottery is responsible for contributing more than $35 billion to education and sending more than 808,000 students to college through the Bright Futures Scholarship Program. The Florida Lottery reinvests 97 percent of its revenue back into Florida’s economy through prize payouts, commissions to more than 13,000 Florida retailers and contributions to education. Since 1988, Florida Lottery games have paid more than $61.2 billion in prizes and made more than 2,000 people millionaires. For more information, please visit flalottery.com.